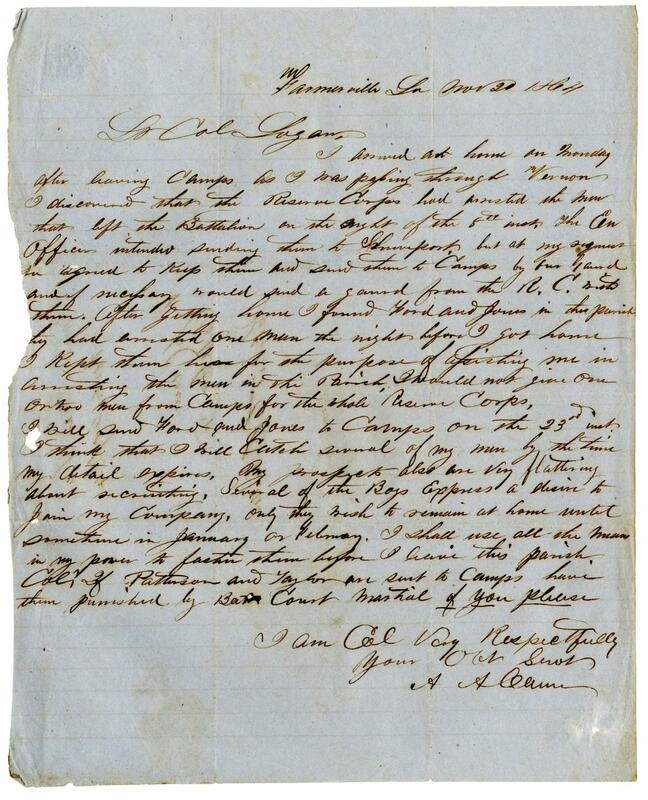 Item Description: Letter to George William Logan about arresting men who deserted and gathering new men for the company. 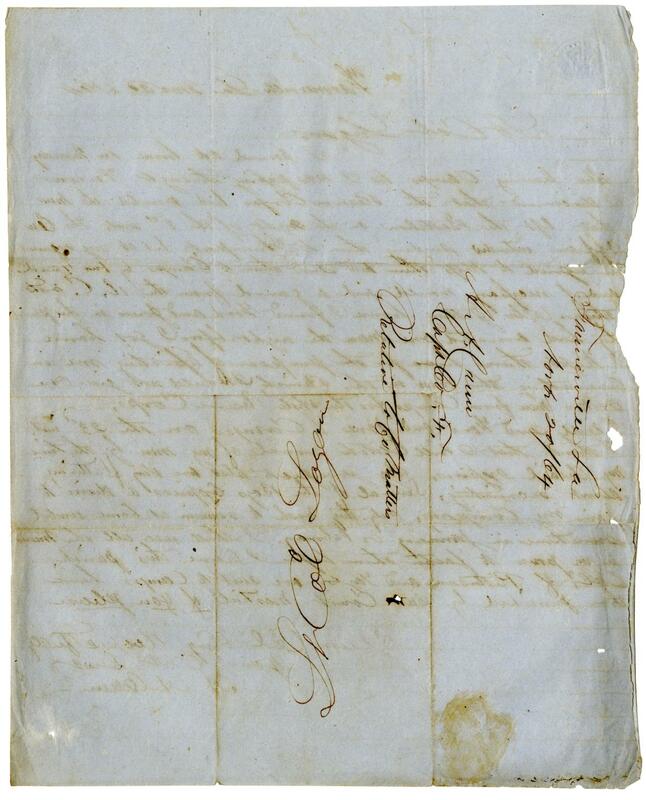 This entry was posted in Southern Historical Collection and tagged arrest, George William Logan, George William Logan papers, recruiting, recruitment. Bookmark the permalink.